Одно из 5лучших мест категории "Гриль-бары / Шашлычные" в Бруклин. Ribs, FTW! Hella good collards, too. 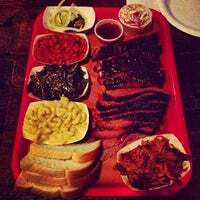 If you're staying, order the brisket, but 86 it if you're doing a takeout operation. Brisket doesn't travel well, no matter how you slice it. 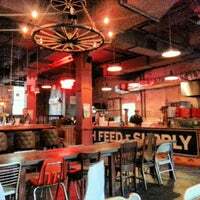 Decent BBQ with a fun vibe and lots of seating. Good for groups. Always get the pulled pork sandwich and brisket. Ask for extra sauce. Sides are the real stars: collards, cornbread, mac and cheese. We had a casual group dinner here and it was awesome. We organized a full weakened of events in NYC for our wedding and this was by far te chillest and easiest place to work with. Lots of fun!!!! I am blown away by the consistent amazingness of this restaurant. Pulled pork, ribs, brisket, mac n cheese, candied yams are all tied for first. 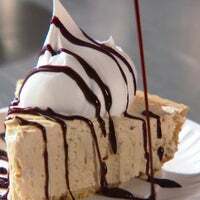 And don't forget the peanut butter pie! The veggie sloppy Joes are seriously awesome! Mac and cheese was also delicious! 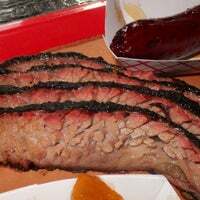 My husband raved about the brisket too--said it's some of the best he's found since leaving the south. Check it out! Start your happy hour with a can of beer and a shot for $4! Then move on to the main course of a platter of beef brisket with potato salad and borracho beans. Barbecue for brunch? You bet. The Huevos Rancheros with pulled pork is killer, but don't sleep on the decadent mac & cheese either. The ribs are tender but not as flavorful as one would hope. Get the brisket and BBQ baked beans! I love a good solid bbq joint. Fast friendly service. brisket was great as was the pulled pork. My favorite side was mac and cheese. Sweet tea also on point. Pulled pork was a little dry/bland but the sauce on the table saved it! Side of the caramelized sweet potato is a MUST, I wanted to lick the plate! Not as good as Fette Sau but they have good pulled pork and brisket! Their brunch menu is small but very delicious! 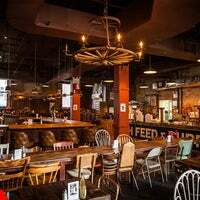 Assemble a group of friends and squeeze into one of the communal dining tables in the cavernous joint, or belly up to the prodigious bar, well-stocked with bourbon and (natch) Lone Star beer. A bit off the beaten path but worth it. Great pulled pork,Mac n cheese and by far the best collards ever tasted. Pass on the corn bread. Amazing bbq! 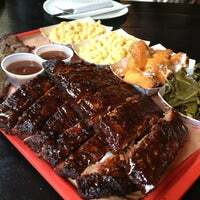 The three meat three side platter is definitely worth it if you're looking to split with friends or eat it on your own! The best BBQ in NYC period end of story. Pulled pork, collards with hot sauce and Mac and cheese. 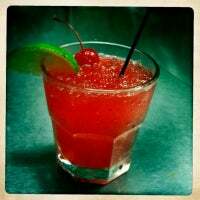 Wash it down with a pickle back! Ribs and Brisket are excellent. 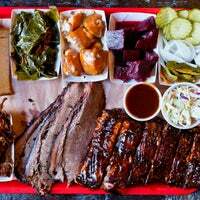 Toast could be buttered and toasted as in Texas Toast, but this place is the best BBQ in Brooklyn. Contest is closed. 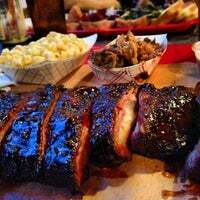 The St. Louis ribs are the way to go here: tender, fall-off-the-bone sweet meatness. Skip the mac and cheese and go for the baked beans. 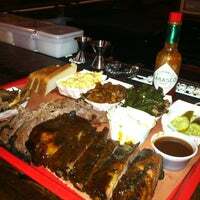 The ribs are to die for, pulled pork is amazing and even the side dishes are awesome -- also, good selection of beers! Cheap as hell and ribs to die for. Plus great location for a bar crawl before or after. 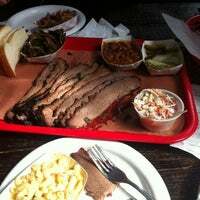 Not our favorite barbecue in the neighborhood, but mostly solid; sandwiches like the chopped brisket are tasty highlights. The Juicy Brisket, Salsa-y Borracho Beans, Crisp Slaw, and Bacon infused greens are what set this BBQ joint apart from its (not insignificant) competition. 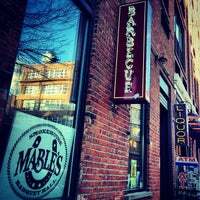 Village Voice is proud to welcome Mable's Smokehouse to the 2014 Choice Eats food fest! http://bit.ly/1cRzdNV. Pour their secret house-made sauce on everything. Prime location next to Whiskey Brooklyn. Would give it a B+ for BBQ, but still behind Fette Sau and Mighty Quinns. Bigger and better beers though. Order from here when you're at Brooklyn Brewery's happy hour (it's right next door). 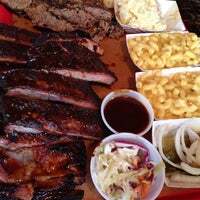 A platter with three meats feeds two people well. Everything is excellent except the cornbread. Went here as part of a food tour. The ribs were amazing, specially when paired with the spiced vinegar! Trés bon! Had the 3 meat and 3 sides platter and couldn't finish it. Was well worth it try.. Delicious! Get the beef brisket cooked to perfection. We had the collard greens and corn bread on the side so yum! Brisket and ribs are stellar. Try to get a combo and share with the group rather than get individuals. I went here on a food tour and got to try the rib, brisket, and pulled pork. All were delicious, but unfortunately they gave both my friend and I food poisoning. Great brisket and pulled pork. It's kinda loud in there and has a cafeteria feel but the food is worth it. As one who knows BBQ after six years in Memphis, I'll say this is VERY tasty. Pulled pork Sammy was...amaze. The pulled pork and brisket are excellent. Be prepared for counter service at sit-down service prices. Worth it though. Super friendly staff. Amazing food. My first experience of this kind of food. Totally loved it. Counter service-style ordering in a honky tonk atmosphere. 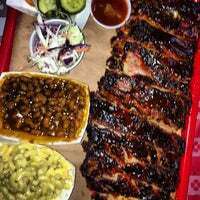 Classic Southern menu of the finest slow-smoked meats, authentic sides, fancy drinks and cold beer! "Самое странное в этом заведении это обилие детей и грудничков"
"Get the Brooklyn White sauce. Its good! 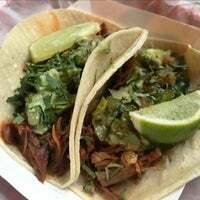 Coriander pork with cilantro sauce is my favorite." "Beef Ribs & Brisket are LEGIT!!! 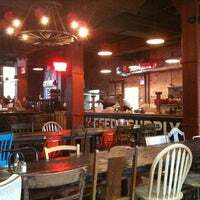 The corn bread, mac & cheese 👍🏾"
"right next to the brewery, good alternative if the brewery is packed. Free shuffle board and cool vibe"
"настоящий коеновский боулинг, прекрасная концертная площадка и божественно вкусный бруклинский лагер, который варят в соседнем доме"
"Пиво отличное, но очереди - и на вход, и к стойке - запредельные."